A picture worths one thousand words. 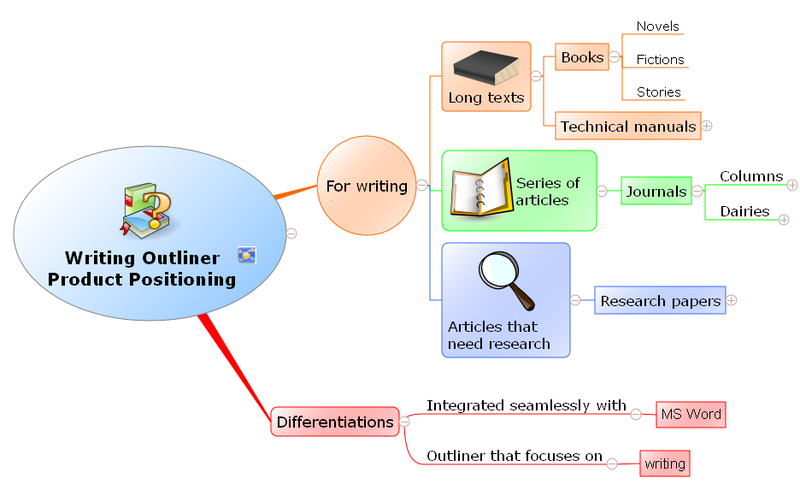 Check the following mind map (click to enlarge) and you will have an overview of what Writing Outliner is all about and what makes it different from the other similar writing software. PS. The mind map is made with mind mapping software MindVisualizer.